The Asbury Park Bazaar is a seasonal market where art, handmade, local goods, and live music converge in the Grand Arcade of Convention Hall, a beautiful, historic, building on the beach in Asbury Park, a unique shopping, dining and music destination on the Jersey Shore. The event is highly curated to bring you only the best in handcrafted goods, vintage, art, and music. The Bazaar is held in partnership with Asbury Park Boardwalk, The Anchor's Bend & Asbury Oyster Bar. 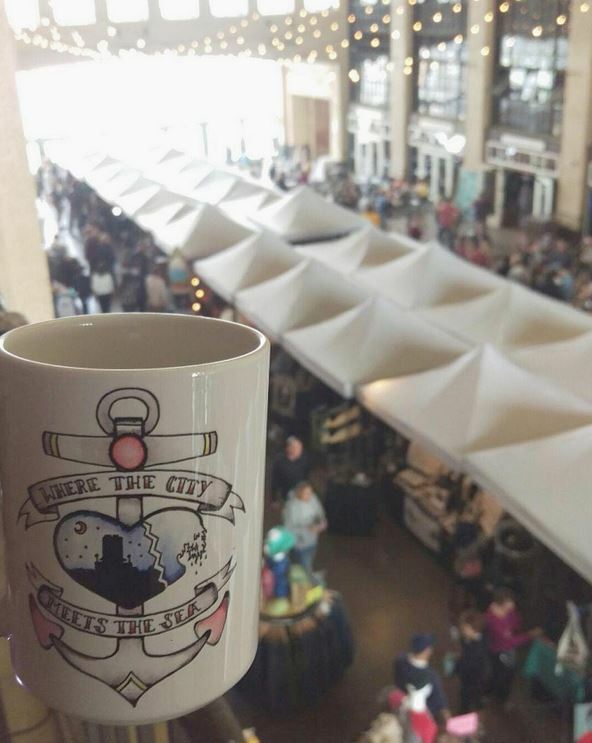 An amazing line-up of vendors selling the best in local and regional handcrafted and vintage goods such as jewelry and accessories; unique gifts; art and photography; home and beauty products; small-batch food items, pet-friendly and socially-conscious goods (organic, fair trade, upcycled). Live music performances. Workshops and kids crafts. Food and libations. Sponsorship opportunities available. Asbury Park is a city bustling with creativity, art and music. The Asbury Park Bazaar was born out of an idea to highlight local and regional artists and artisans and support small shops and our growing community of makers, collectors, and independent businesses. The event is held seasonally in the Grand Arcade of Convention Hall, one of the most iconic and beautiful buildings right on the beach in Asbury Park. The future is bright for our city by the sea and we are so excited to part of Asbury Park's thriving makers movement.